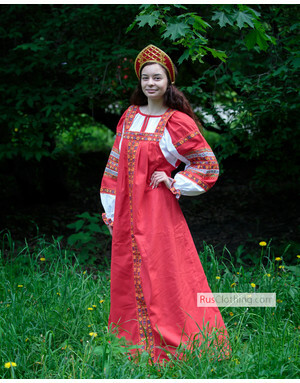 This kosovorotka shirt is made of cotton Khokhloma designed fabric. Birght flowers on dark background make the shirt a highlight of any event. 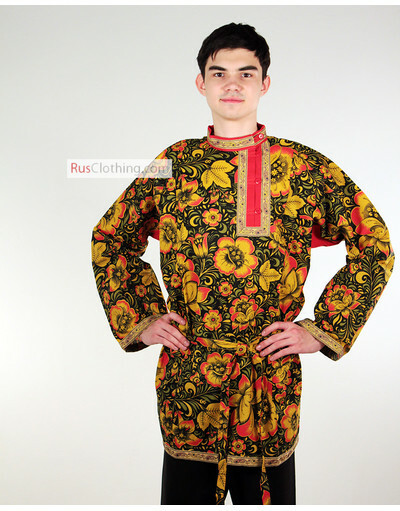 Russian shirt can be worn with or without belt, but belt is included. 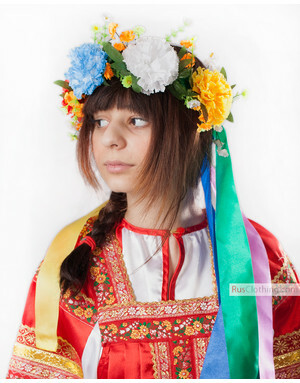 Kosovorotka is a traditional Russian shirt from old Slavic times. Traditional shirts are perfect for Russian dancing, special performances and theatrical costumes. 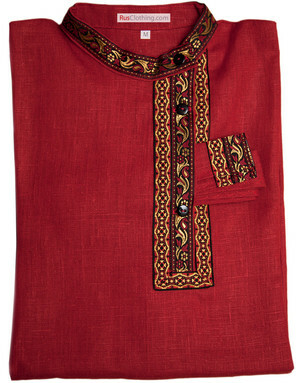 Even if you are not an artist, the shirt with ethnic touch will add special charm to your look. 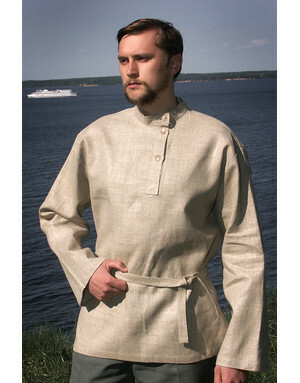 This Russian shirt is individually made, not factory mass produced.